Once a vibrant, energetic port town along the Thu Bon River, Hoi An has grown into one of Vietnam’s top tourist destinations – and for good reason. Its rich history, unique culture, and mouth-watering cuisine, make this charming waterfront town a hit among visitors. Today, the entire town is recognized as a UNESCO Heritage site, ensuring the preservation of its lavish Chinese congregation halls, wooden houses, and fascinating past. 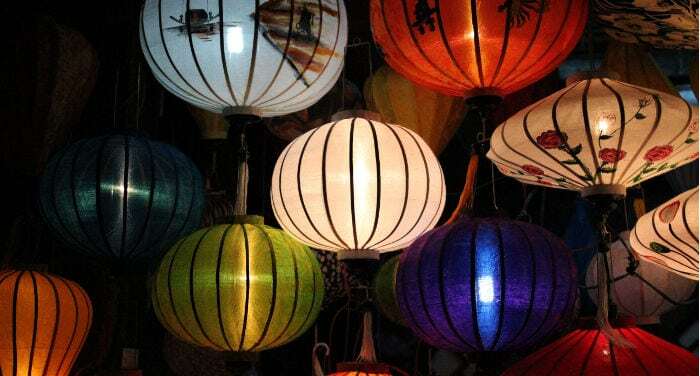 More than a few leave Hoi An laden with shopping bags, as the Old Town is home to innumerable tailors, who fashion just about any clothing item or accessory you can imagine. Wander around the Old Town and you’ll find scores of high-quality, handmade goods, from wearable items to traditional handicrafts. Though Hoi An may not be as big or bustling as other destinations in Vietnam, in many ways that’s part of the town’s charm, as it provides a beautiful, peaceful respite from the noisier, more chaotic streets of urban Vietnam. 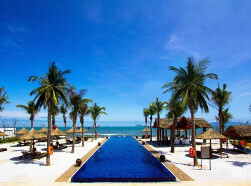 Hoi An is most often reached by way of Da Nang, the modern metropolis 30 kilometres north whose status as a regional hub affords travellers access to an international airport as well as a train station and plenty of bus transport options. Da Nang International Airport welcomes flights from destinations across Vietnam as well as a handful of international destinations within Asia. Nearby, the local train station is a major stop along the country’s north-to-south line, while the city’s bus station connects to other, smaller destinations throughout the area. Da Nang public bus number 1 also travels along the coast between downtown Da Nang and Hoi An every 20 minutes from 5:30 AM to 5:50 PM.